Accredited by Eco Tourism Australia, Aquila Eco Lodges offer interpretive trails and a resource library. We collect our own water, generate power and deal with all waste on site. Our aim is to run Aquila Eco Lodges in line with principles of sustainable living and with a minimum impact on the environment. 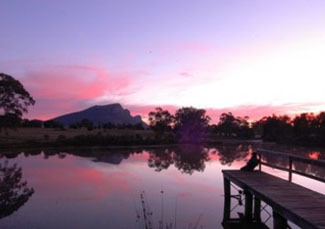 The flora and fauna at Aquila have been surveyed by Trust For Nature, and include many species unique to the Grampians. In recognition of its quest for continuous improvement Aquila has received business and environmental management awards. We invite you to come and explore the considerable achievements and outstanding visitor experience of Aquila Eco Lodges. 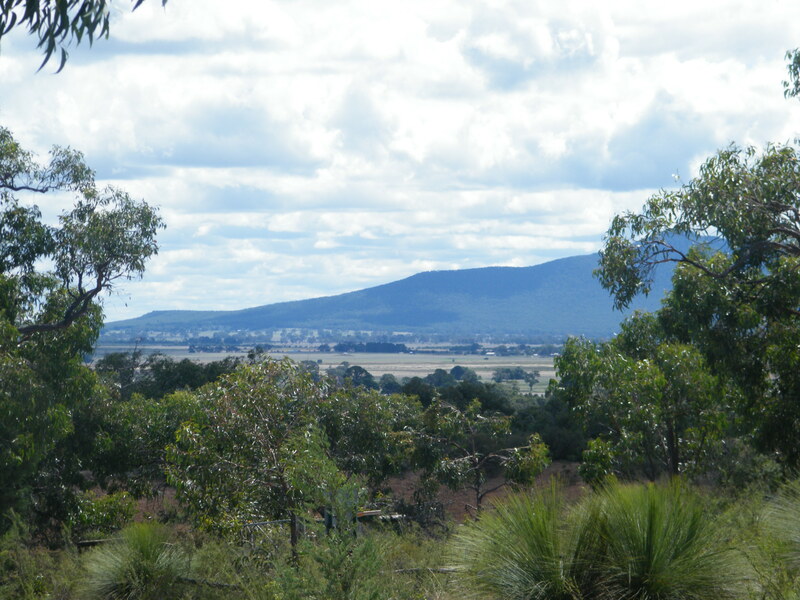 “Aquila is a philosophy – not just a bunch of buildings in the bush”. All infrastructure is underground to minimize visual impact. Solar power reduces green house gas emissions, avoids power poles and negates the need for extensive excavations. Rain water collection, storage and distribution. Wiring infrastructure on the property will not emit noxious gasses in the event of fire. Scheduled water testing to ensure return of nutrients to the environment by the composting waste management system. does not cause an adverse impact. Sandstone pathways in high traffic areas and planting of infertile corn ryegrass in order to minimise erosion. Revegetation program using indigenous plants. Identified, catalogued and protected Grampians unique and endangered orchids. Energy has been a huge challenge at Aquila, with no networked energy sources linked to the property. Solar energy stored in 48 batteries with a computer controlled base. A diesel generator for back-up. All water is collected on site, using the roofs of all buildings. The total storage capacity is almost 300,000 litres, including 40,000 litres reserved for fire fighting. We are constantly looking at ways to improve the capacity, storage, and usage of water. Operating a complete composting system for food waste and black and grey water. It uses worms to break down waste,whilst meeting the highest accommodation and health standards. Sorting waste on-site, and taking it to the local recycling tip. The building materials have been carefully selected for their sensitivity to the surrounding environment and fire considerations, whilst enhancing an environmentally-responsible living experience. Where possible, local suppliers from within the Grampians have been used to supply various products such as red-gum flooring and sandstone paving and brickwork.